The Intermot motorcycle-only exhibition is in full swing in Cologne, Germany. 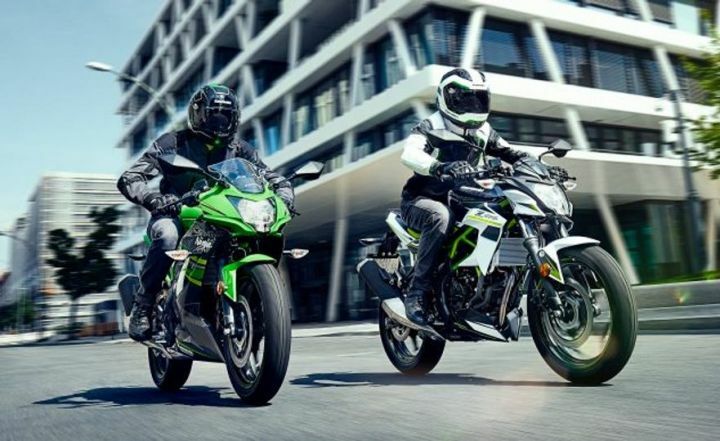 As a part of its fleet on display, Kawasaki has unveiled two new small-displacement motorcycles: the Ninja 125 and the Z125. The two motorcycles are targeted at A1 license holders in Europe. Design-wise, both the bikes borrow design cues from their 250cc single-cylinder siblings, which is not a bad thing. Contrary to what one may think, both the motorcycles manage to look premium despite their entry-level positioning. We particularly like the green trellis frame finish which highlights the Z125's aggressive streetfighter design. Powering both the motorcycles is the same 125cc liquid-cooled, single-cylinder, fuel-injected motor. This mill generates 14.9PS of power and 11.66Nm of torque, and comes mated to a 6-speed gearbox. Both the Ninja 125 and Z125 are built around a steel trellis frame and suspended upon 37mm telescopic forks at the front and a five-way preload-adjustable Uni-Track suspension at the rear. Anchoring is provided by a two-piston front calliper clamping down on a 290mm disc, and a dual-piston 220mm disc on the rear wheel, with switchable ABS on both motorcycles. While the Ninja's saddle sits at 785mm, the Z125 is a tad taller at 815mm. Both pack 17-inch alloys which are shod with 100/80 section front and 130/70 rear tyre. Sadly, neither the Ninja 125 nor the Z125 are unlikely to come to India. The reason being, they are specially designed for the European market, especially for the A1 license holder. It just wouldn't make sense for Kawasaki to bring them to our shores considering the prices and their existing portfolio. For more updates on the on-going Intermot exhibition, stay tuned to Zigwheels. Kawasaki Ninja 300 To Go Green, Literally! Share your experiences with Ninja 300? Confused about Kawasaki Ninja 300?